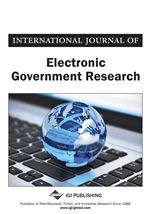 This article provides a quick assessment of current e-governance policies and programmes to then suggest an alternative approach to the issue of the use information and communications technology in governance process. By focusing on citizens and stakeholders needs and fostering their participation in decision-making processes, governments can be best prepared to provide them with basic services and information, especially to poor and marginalized areas excluded from the potential benefits of e-governance. Pro-poor basic delivery in turn has the potential of fostering stakeholder engagement in public policy discussions at the local level.